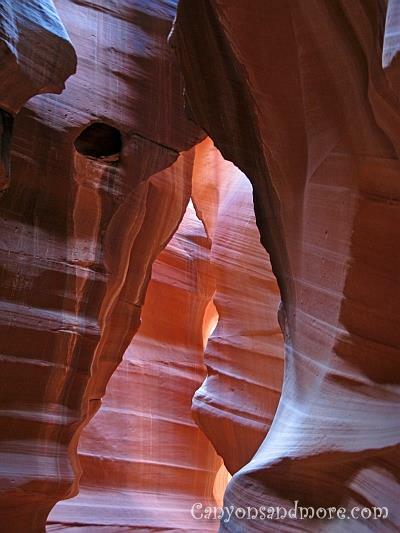 The United States has such an abundance of canyons. Visits to the states of Utah, Arizona and Nevada will impress you with such amazing landscapes and lovely vistas. Each canyon is so unique in its own way and below are just a few highlights of the canyons visited on our trip to the southwest. Above you see the Grand Canyon in Arizona which is probably the most well known canyon landscape of them all and visitors are in for a breathtaking experience. 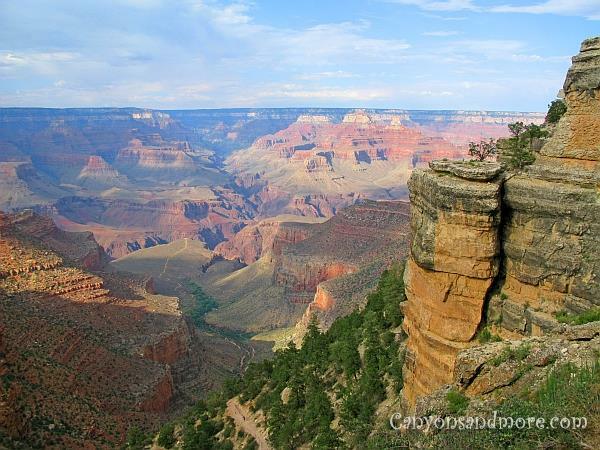 Read more about the Grand Canyon. 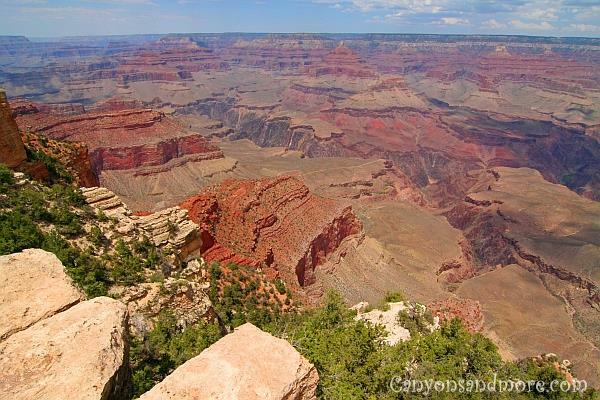 The Grand Canyon in Arizona is probably the world’s most fascinating natural wonder. The landscape is so overwhelming and each step along the trail brings new impressions. As a visitor, you will experiences a new feeling of dimension. No picture or film can capture that feeling. 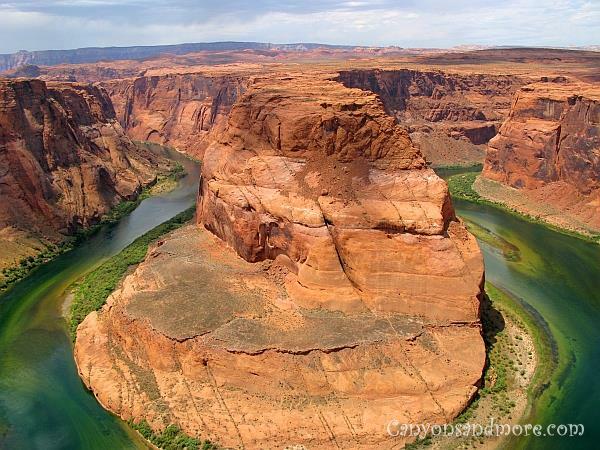 Standing at the canyons gives you such a humble feeling as you see the magnificent landscape. Read more about the Grand Canyon. 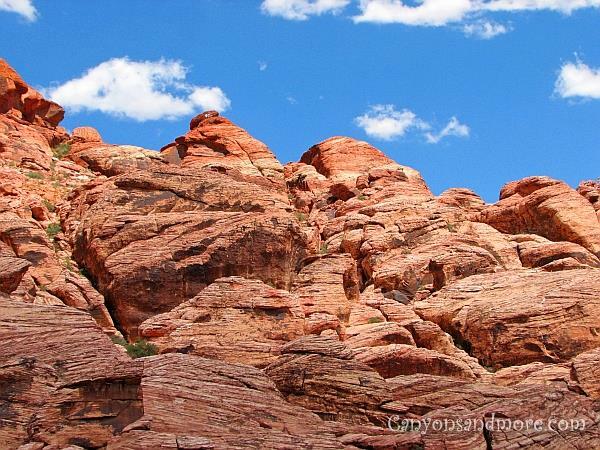 The Red Rock Canyon National Conservation Area in Nevada is a natural attraction just a short drive from Las Vegas. For just 7 dollars (as of summer 2010) you can spend a day hiking, climbing or just simply enjoying the scenery of this fascinating area. The visitor guide you receive explains everything you need to know about the area and has tips and pointers about the wildlife and hiking trails. 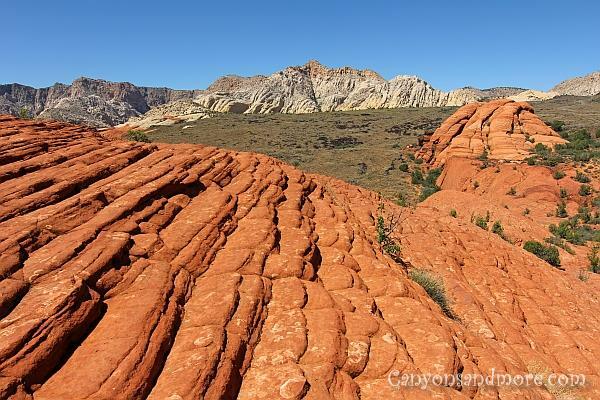 Read more about the Red Rock Canyon. 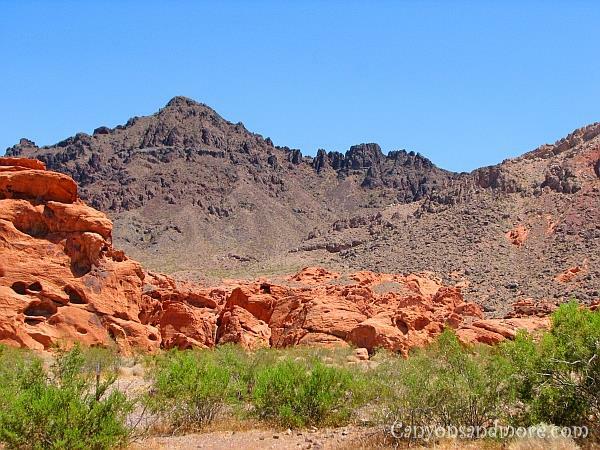 The Valley of Fire State Park in Nevada is a fascinating landscape in Nevada is just a short trip from Las Vegas and a great way to get away from the hustle and bustle of the city if you long for nature. You can combine it with a trip to Lake Mead as it is also close by, or take just the day to see this state park by itself. Read more about the Valley of Fire. 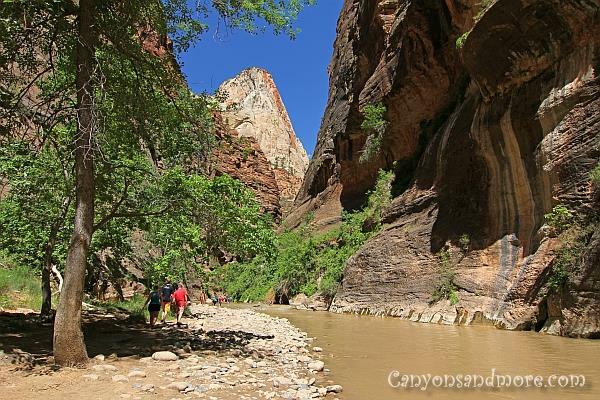 Zion National Park, located in the southwest corner of Utah is nature at its best. The fee to enter the park is 25 dollars (as of summer 2010) which is a pass to enter the park for a week. It is really not possible to see all of the sights in one day, especially if you like to take time to hike some of the many trails found at the park so you may like to plan more time for this particular place. Read more about the Zion National Park. The road going through the Bryce Canyon National Park in Utah is about 29 kilometers long (about 18 miles). That may not seem like a lot but you still should plan at least a whole day as there are many vista points, each being worth to stop at. We realised that once evening arrived and we still had not reached the last vista point before we had to leave. Even without a map, you will easily find the stopping points as they are also indicated by signs on the side of the road. Each point has hiking trails, some are even interconnecting to the next vista point, in case you would like to stroll along the rim. There are also many trails leading visitors deep into the canyons for an insight of how it feels to be between the hoodoos, instead of just seeing them from above. 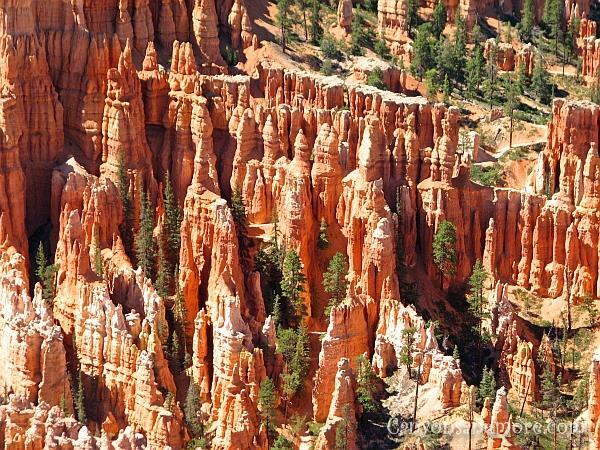 Read more about the Bryce Canyons. The canyon like landscape around Lake Mead in Nevada is at some points almost out of this world. You actually feel like you are on another plant at some points. 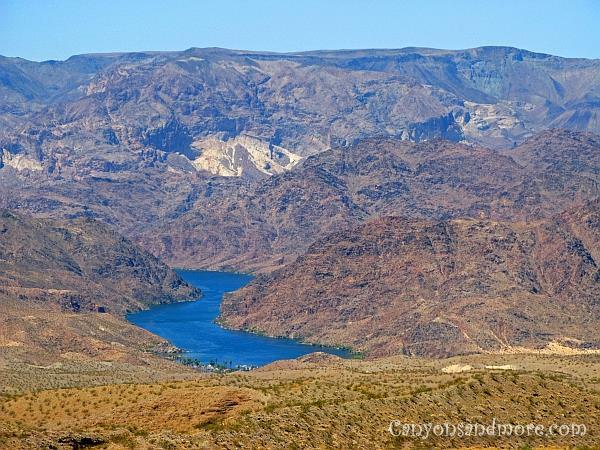 Read more about the Lake Mead. St. George is a great location to stay if you are intending on seeing Bryce Canyon and the Zion National Park in Utah. Also, just around the corner from St. George, about 15 kilometers north of the city is the Snow Canyon State Park. The park was full of geological treasures such as fascinating rock formations and breathtaking landscapes such as sand dunes, lava flows and even a slot canyon. Read more about the Snow Canyon State Park.